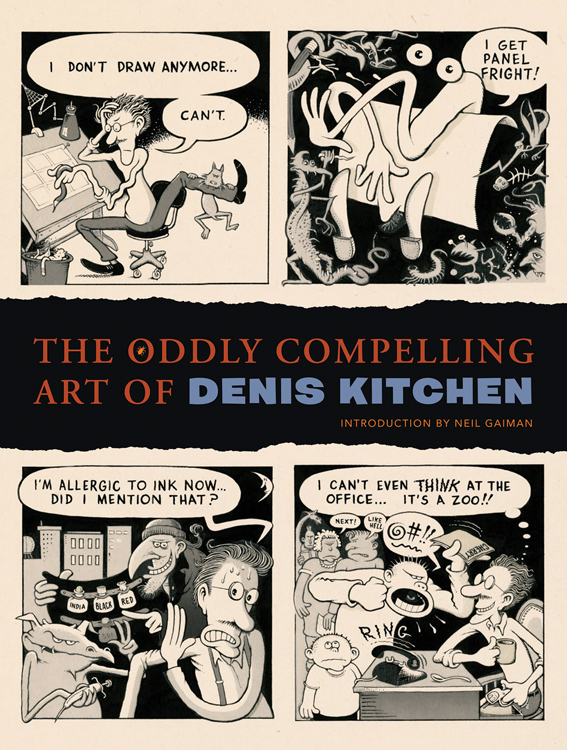 "I think 'oddly compelling' is a very good title for a book of Denis Kitchen's work, and describes it very well. I always thought it was rather a shame that Kitchen became a publisher and a businessman to the neglect of his artistic talent. 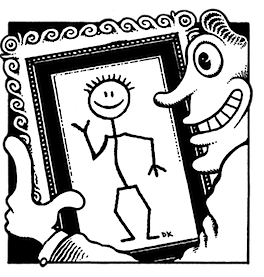 I always thought he was a gifted and exceptional artist, but not a very good business man. I think his downfall was women. He always seemed to get the ones who want 'nice things,' the big sap!" 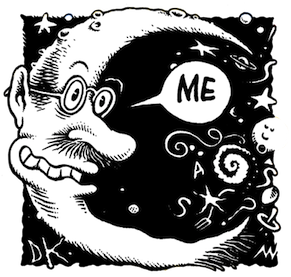 First announced for publication from his own Kitchen Sink Press over 20 years ago, but never produced, The Oddly Compelling Art of Denis Kitchen is the first collection of work by the underground cartoonist and comix publishing pioneer. 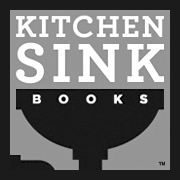 Kitchen has worn many hats: publisher, founder of the Comic Book Legal Defense Fund, book author (The Art of Harvey Kurtzman and Underground Classics) and as a literary and art agent. But his career as an artist has been overdue. This long-awaited collection, from Dark Horse, comic book art, underground newspaper covers and strips, surreal paintings and illustrations, brings Kitchen the artist to the forefront. A comprehensive career overview, this compendium includes approximately two hundred illustrations, most unseen since their original publication in the late '60s and '70s, and many are from regional publications not seen even by most serious comix fans. In addition to his art, the book includes numerous historic photos of Kitchen with many of his contemporaries like Will Eisner, Harvey Kurtzman, R. Crumb and others. Introduction by acclaimed writer Neil Gaiman and a career-spanning essay by Charles Brownstein (Eisner/Miller). 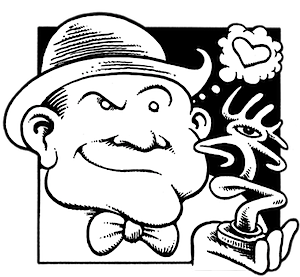 The Oddly Compelling Art is both an essential piece of history for underground comix aficionados and an excellent introduction for new readers. Designed by John Lind, winner of a 2009 American Graphic Design Award for his work on Underground Classics. 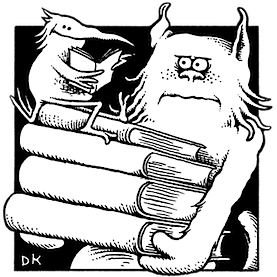 The Oddly Compelling Art of Denis Kitchen is a full color, 200 page, 9×12 hard cover.